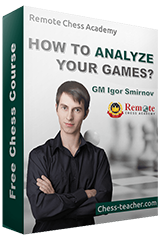 In the previous article, our guest coach IM Larry Evans taught you how to play against the isolani (isolated queen pawn). If you missed it, you can check it here. In this second part, he will teach you how to play around the isolani. Let’s get started! The bishop’s retreat to b6 is White’s signal to play around the isolani. The first step in establishing a bind on the dark squares is to denude that color of the defense of Black’s dark-squared bishop. If Black wishes to avoid this possibility, he may hide his bishop with 9…Bd6, as Korchnoi did successfully against Karpov in their World Championship match of 1974. 10.Be3!? A remarkable, though unfortunately flawed conception. Botvinnik is so confident of his play on the dark squares that he is willing to isolate his own pawn in order to execute the first step. As Karpov demonstrated against Krogius some 30 years later, White can prepare for Be3 with 10. Re1!, a plan which entails far less commitment. Is the Isolated Queen Pawn Good or Bad? 10…Bxe3 11.Bxc6+! The second step of White’s plan is to surrender his light-squared bishop (which cannot play a role in the fight for the dark squares) for Black’s knight (which can), Botvinnik does not fear a recapture by Black’s pawn, since his plan is not to win the d-pawn but to control c5 – which could no longer be defended by the b-pawn. 11…bxc6 11…Nxc6 would allow 12. Re1! 12.fxe3 O-O? Boleslavsky misses the fly in the ointment! The third step of Botvinnik’s plan is to prevent Black from exchanging his relatively important light-squared bishop for one of White’s dark-squared dominating knights. The correct move for Black is 12…Bg4, with equality. Victorious in the battle for control of the dark squares (two well-posted knights to one), Botvinnik proceeded to fight for the lights. In particular, he focused his attack against the pawn on c6, won it, and demonstrated a meticulous technique in the resulting endgame. Deciding when to play around the isolani as opposed to when to play against it is really much easier than it sounds. The determination is based, to a large extent, upon how the players handle the exchange of their bishops. Consider, for example, our two illustrations. Both games were identical for the first four and a half moves, but then Boleslavsky played 5…Nc5 while Bondarevsky tried 5…Bd7. Exchanging the light-squared bishops ensured Bondarevsky that he would never be left with Boleslavsky’s superfluous piece, but it also denied him the best defender of his d-pawn. Hence Kan’s decision was clear. From another angle, when Botvinnik later uncorked 10. Be3! ?, Boleslavsky could have decided to protect his dark squares by retreating his bishop to c7. Then Botvinnik might have decided to play 11. Bc5, followed by an eventual Bxe7. 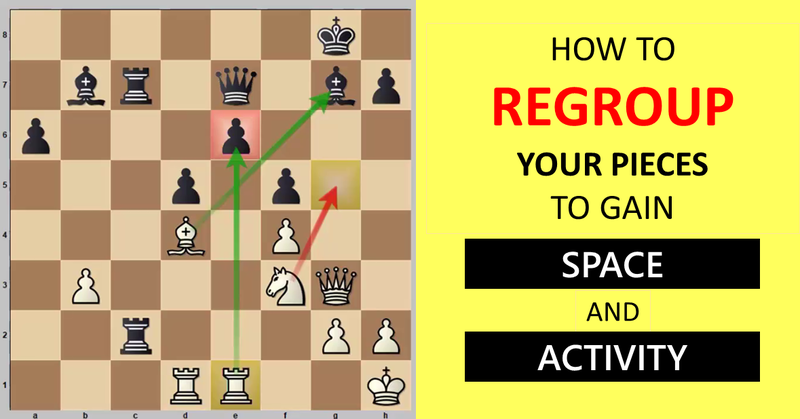 The option of playing on the dark squares would then have been cancelled, but White would have been left with one more piece capable of attacking the isolani than Black would have had capable of defending it. In short, every time a bishop is exchanged for another minor piece, the question of which way to play the position may be re-evaluated. But if Black protects against one option, the other is still there to trouble him. IM Larry Evans founded Mountain Lake Chess Camp in 1992 to help train his own son (Cory, who would go on to be a US scholastic Chess Champion). Since then, the company has grown to include a weeklong overnight camp and summer day camps, which have been attended by some of the best players in the world. They also teach afterschool chess classes in over 60 schools in the San Diego area, organize local scholastic chess tournaments and offer private chess lessons for all levels. You can find more details about IM Larry Evan’s overnight camp here.